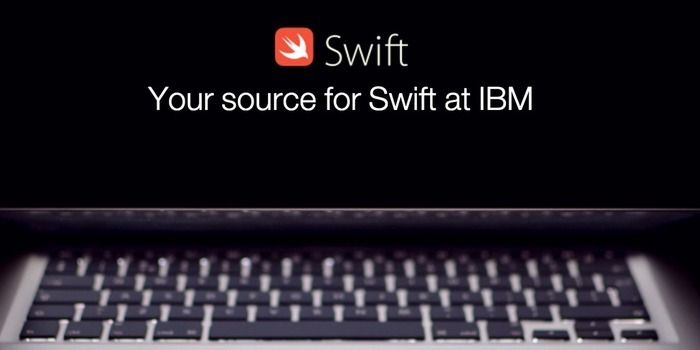 IBM、SwiftをWeb上で実行できるテスト環境「IBM Swift Sandbox」をアップデート。TwitterやFacebookなどでコードの共有が可能に。 | AAPL Ch. Creating code in the Sandbox is fun but what if you want to share this code with friends, ask/answer questions on sites like StackOverflow with real working examples or just save your code for later ? Well now you can. The Sandbox now provides a menu option at the top called Share Code. 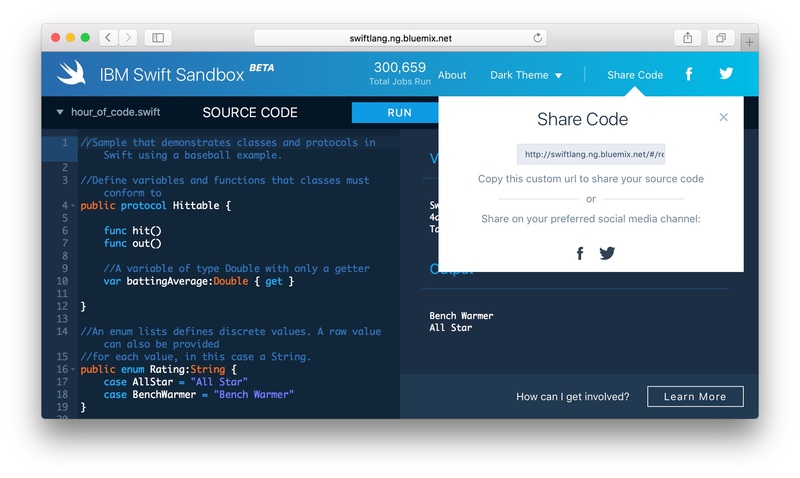 This feature will create an immutable snapshot of your code and provide you with a unique URL to link to your saved code in the sandbox.